If you’ve ever visited the Cranbrook House library, you’ve probably noticed The Great Crusade, a large tapestry hanging on the south wall. Many people associate tapestries with medieval times, when they were used to keep drafty castles warm in winter. Woven wall hangings were also popular as decorations, especially as a sign of wealth since the extensive labor and pricy materials made tapestries more expensive to produce than paintings. 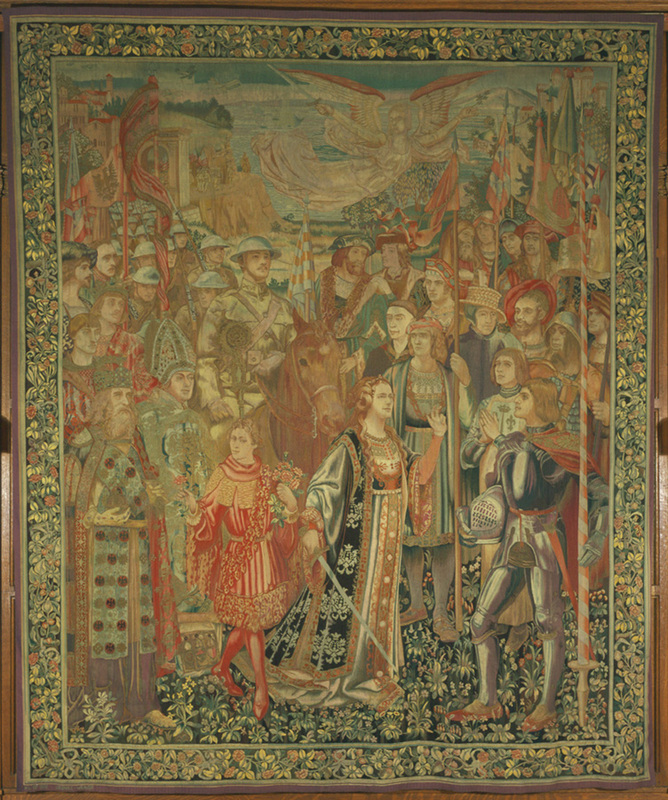 While most of the tapestries that adorn Cranbrook House are fifteenth-century Flemish, The Great Crusade is a toddler; though it utilizes a historic technique, it was designed and produced in the early twentieth century. Herter Looms, The Great Crusade, 1920. Cranbrook Art Museum. In August of 1918, as the Cranbrook House library addition was underway, George Booth visited Herter Looms in New York City to commission a tapestry specifically for the south wall. Herter Looms was founded by Albert Herter, born in 1871 to a well-known family of craftsman who designed cabinetry and interiors for the wealthy. Financially secure, Herter pursued his artistic talent, studying painting in New York and Paris. In 1908, he established Herter Looms, which became renowned for creating superior tapestries. Herter aimed to mimic the spirit of late-Gothic tapestry and thus was an ideal choice to work on Booth’s vision. 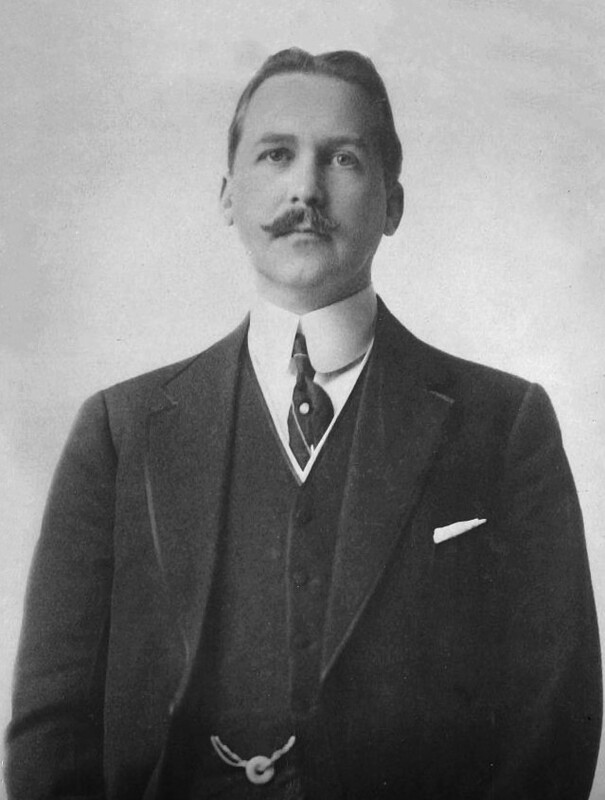 Albert Herter, founder of Herter Looms. George Grantham Bain Collection, Library of Congress. George Gough Booth’s sketch for The Great Crusade tapestry, 1918. George Gough Booth Papers, Cranbrook Archives. Booth drew up a sketch of his idea and sent it to Herter. Based on the sketch, a cartoon—a preparatory drawing for a piece of art—was created. In this case, the cartoon was a full-sized painting used to transfer the design to the tapestry. Since weavers worked from the back of the tapestry, the final product was a mirror image of the cartoon. Cartoon for The Great Crusade tapestry, 1918. Created by Herter Looms, the cartoon was used to transfer the design onto the loom. It is a mirror image of the completed tapestry. Cranbrook Art Museum. After the tapestry was completed in 1920, it went immediately on exhibition with the Detroit Society of Arts & Crafts. Believing it too fine a piece to hang where only a few household visitors would see it, Booth decided to donate the tapestry to the Detroit Institute of Arts (DIA). 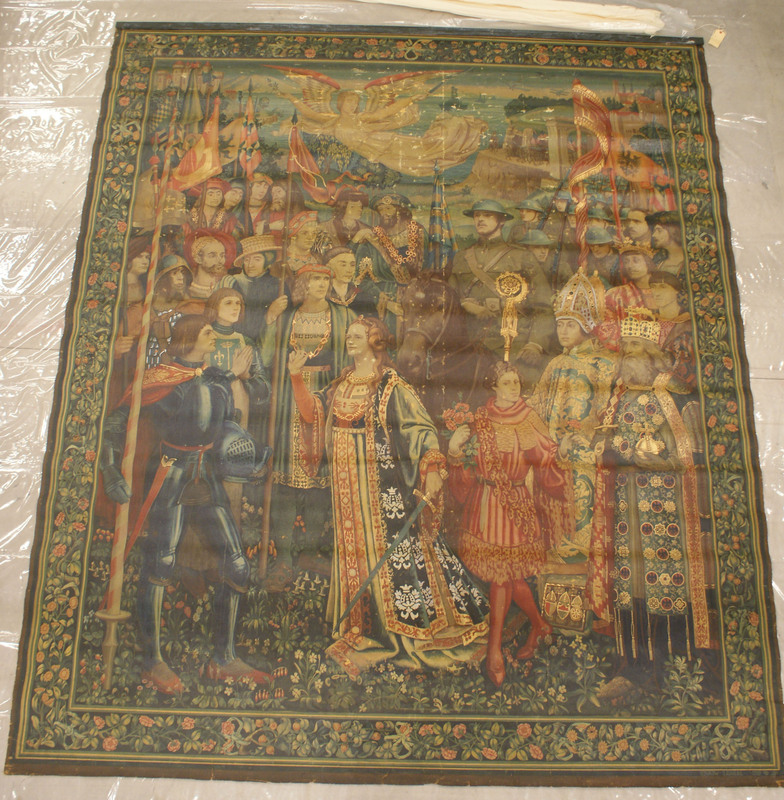 The tapestry remained with the DIA until 1944, when it was deaccessioned and returned to Cranbrook House to finally hang in the place of honor for which it had been commissioned. Note: All quotes from the George Gough Booth Papers (1981-01), Cranbrook Archives.